Blush and Bangs: Pinteresting: May Day! It's May, it's May, it's May! This month might not be a big deal to you, but for me it is the month that encapsulates the spring season.... Also, it's my birthday month, just sayin' ;) Anyways, in honor of May and the spring season, I pulled some looks, outfits, and trends from Pinterest that I love. I hope these pieces give you ideas of where to take your style this season! Lace is a major player this season, which makes me positively gleeful! It can be worn so many different ways, but for daytime, pairing lace with cutoffs, sandals, and a charm necklace is a brilliant styling idea! 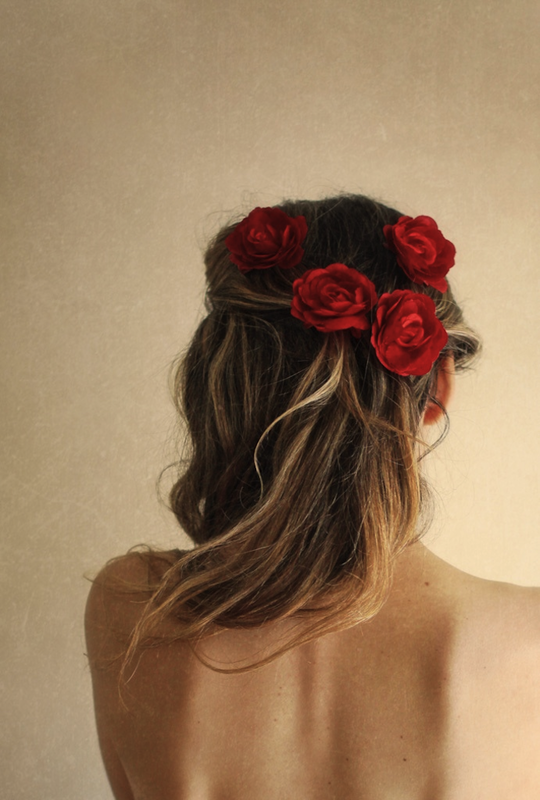 By now you guys know how completely obsessed I am with hair flowers. I want them all the time, I basically want my hair to be a garden of flowers, lol! I don't often wear pink, but, when I do, I like soft shades like this one. I want a cute pair of overall shorts so badly! I just think they're adorable and cool at the same time! 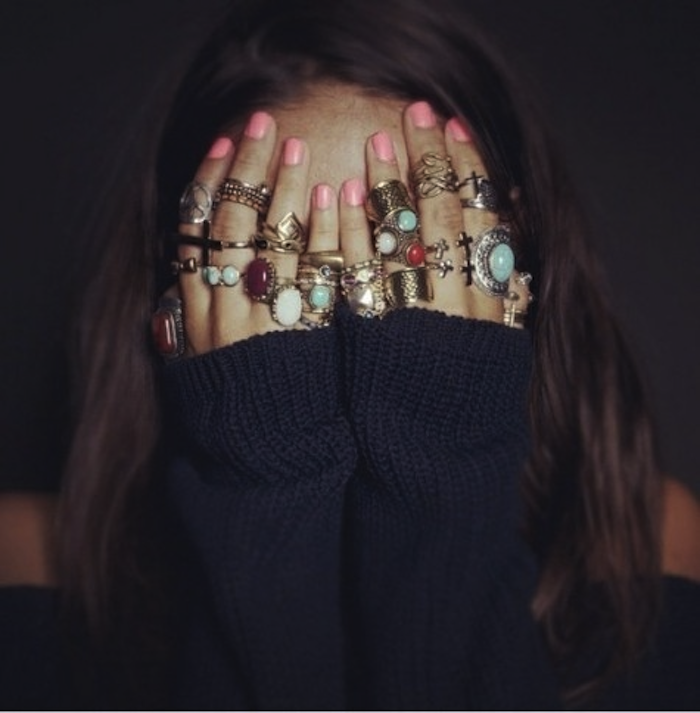 Stacks on stacks on stacks...of rings! Lol! I love the midi ring trend now too, it's so fun! The eyelet top and colored cutoffs make this outfit a great beachy fun look! I've been on pinterest so much lately! so many DIYs I want to try!